I attended the FSU meeting today on parking, and the turnout was pretty light. I get it because my schedule is crazy, too, but this parking issue is too important to let our busy schedules get in the way. So in order to make sure everyone is in the loop, I am going to break it down here for everyone. The proposal on the table from the administration is awful. The biggest problem as I see it (from a faculty perspective) is that they have removed the multi-park passes, which means that you would have to buy semester/annual passes in order to get a pre-tax discount, and many of us don’t come in enough days to make buying a semester or annual pass worth it. This means we would be stuck paying the $15/per day rate. You cannot get the tiered rate unless you purchase the semester/annual passes. This will very quickly eat up that 2% raise we just got. We need to be incentivized to come to campus, not to stay at home! I could go on and on about other issues, especially when you consider our students and their financial situations, but I will leave it at that for now. What I learned in the meeting today was really illuminating. 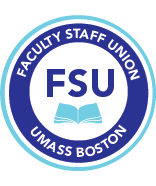 A process has been put into place for bargaining (see MOU 9 of the contract or this Power Point summary of the parking bargaining process--FSU). There will be only three more sessions of bargaining and then if the administration/union can’t come to an agreement, it will go to mediation. After mediation, if the two sides do not come to agreement, it goes to a fact-finding session (which is a more in depth process of evaluating the two sides). Here is the most important point: If at the end of the fact finding process an agreement is still not reached between the two sides, then the administration legally can implement their last proposal and our union is helpless to prevent that. In terms of the timeline, that is set to be around the end of February 2019. This is the bottom line: The administration has to submit to mediation and to all these sessions, but they know that if they can just hold out until the end, they can legally get what they want. This means that our best weapon to prevent these inequitable parking rates is to make as much noise as possible in the next six months to make the administration hear us. The best strategies we have to get them to back down is to make the publicity so bad OR to make them lose money (perhaps a boycott of the garage?) so that they agree to accept some/all of our terms. All this is to say is that we cannot wait until the rates go up to take action. We are in a crucial time in the next six months to be as active as possible as a union. Let me put this in one other way — if you calculate the amount you will have to pay for parking over the next number of years in which you hope to work here at the new rates, that amount will stun you — and you will see that financially, it is worth the time away from other things right now to put toward this effort. If we don’t, we will regret it later, because one thing I have learned is that once these costs go up, they will only continue to go up. Long after that garage is paid for, they are not going to return to our current rates, and the days we will have Bayside as a cheaper option are numbered. The FSU will be in touch early next week with ways we can all get involved, but I hope my clarification of the process here helps you to understand why these next six months are so crucial. Thanks for reading! This letter was sent to the FSU for distribution.